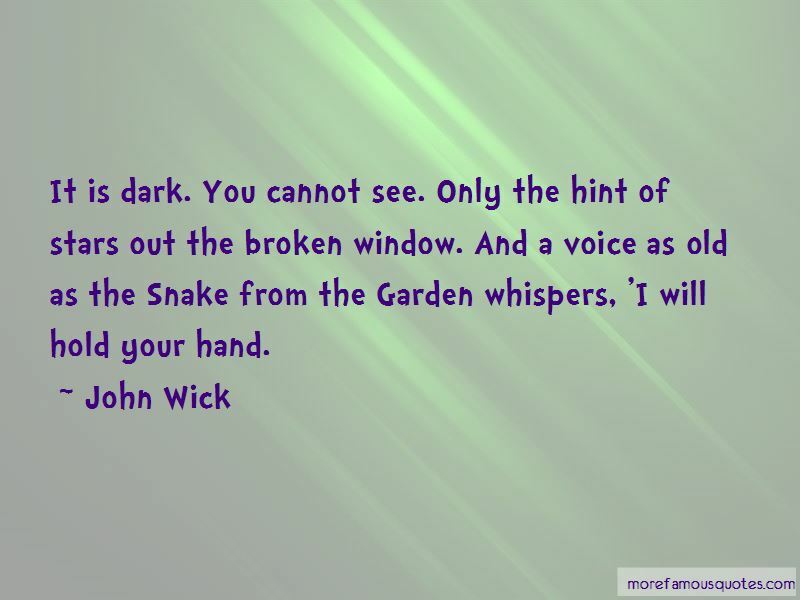 Enjoy the top 1 famous quotes, sayings and quotations by John Wick. It is dark. You cannot see. Only the hint of stars out the broken window. And a voice as old as the Snake from the Garden whispers, 'I will hold your hand. Want to see more pictures of John Wick quotes? Click on image of John Wick quotes to view full size.